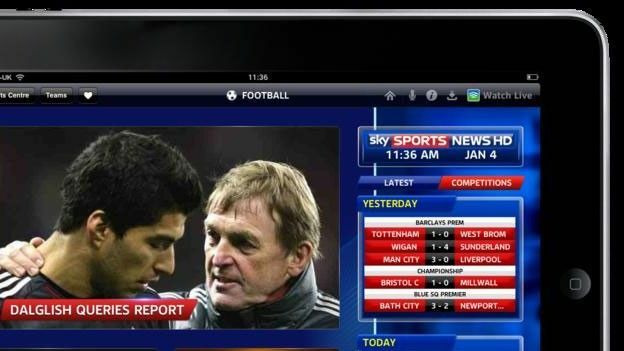 Sky is throwing more weight behind Apple's iPad with a renewed Sky Sports News application. The new app, which remains free to Sky subscribers, brings a dedicated editorial team and a host of exclusive written and video content. If you're not a Sky Sports subscriber then the app is a quite costly with a £4.99 a month in-app subscription. Ever since the iPhone 4S launched with Siri in October, we've seen a number of copycat voice assistant apps, but this might be the most impressive yet. Ask Ziggy for Windows Phone is a free app which includes speech to text transcription and in-depth answers to your questions, be they mathematical, fact-based or theological like "was Darth Vader a good guy?" Speaking of Siri, it appears your personal assistant is a little bit of a data hog. Network experts have claimed that iPhone 4S users are consuming twice the mobile data of those using regular old iPhone 4 devices. If you're not on an unlimited data plan, it might be an idea to keep an eye on your most recent bills. It appears there's no stopping the Angry Birds juggernaught. The bird-slinging game, in its various guises on various platforms was downloaded an astonishing 6.5m times on Christmas Day thanks to all those new smartphone owners. That'll likely summount to a hefty chunk of change for Rovio. Rumour would have it that Microsoft is preparing to bring its fleet of Office applications to the iPad, but before that happens CloudOn for iPad has given us a taster. The app features bespoke software that allows you to edit Word, Powerpoint and Excel documents over the cloud before placing them back in your Dropbox folders. Worms? Crazy golf? What next, Angry Birds rugby? Regardless, EA has given this legendary franchise a sporty makeover, giving the Worms a break from blowing each other up with various artillary. Here, they have a limited amount of shots to get the ball to the hole, while aiming at various floating islands on many Worms-esque landscapes. Attic is a neat idea, in theory, reminding you of the music stored on your iPhone that you haven't listened to in a while. It's a nicely designed app, which we'd love to be able to use to control our entire music collection. Read our Attic for iPhone review.